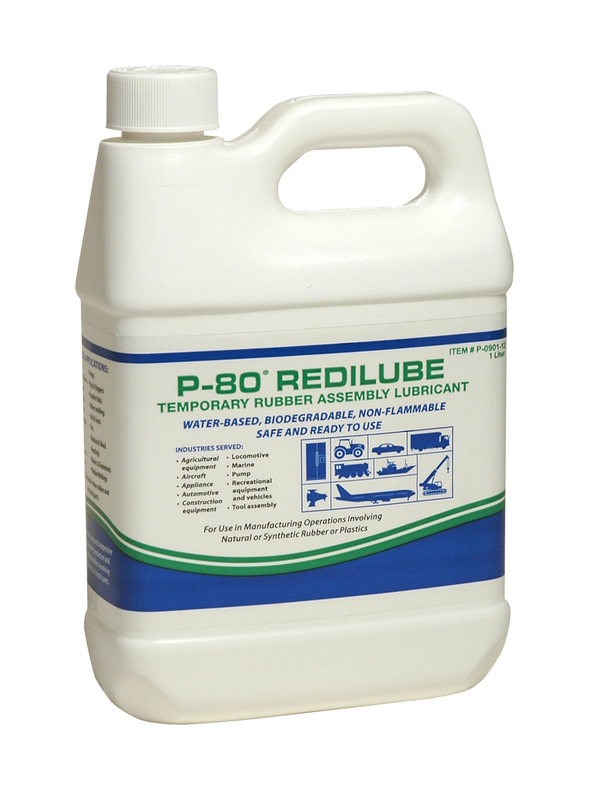 P-80® RediLube Temporary Rubber Lubricant is a biodegradable assembly aide that eases installation of tight-fitting rubber and plastic parts by reducing the force needed for insertion. P-80 RediLube dries quickly and completely. P-80 RediLube is ideal for use on non-porous and coated rubber parts. Typical applications include installation of seals, o-rings, hoses, bushings, grommets, tires, and grips. Excellent for use on sub-assembled parts.